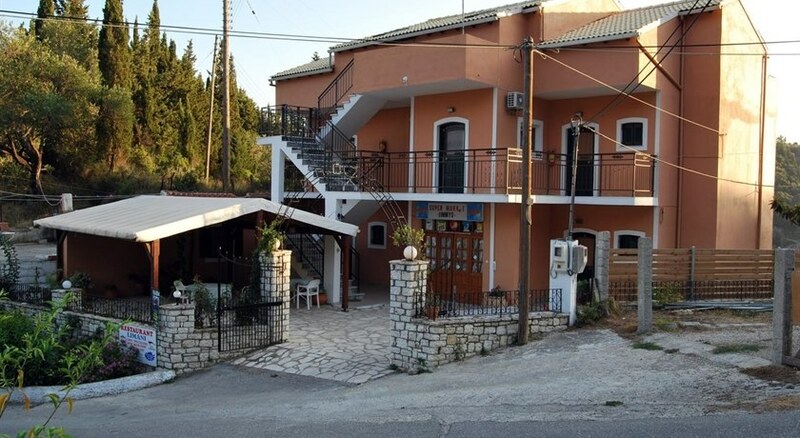 The Rena Apartments is a small, friendly, family run property occupying a tranquil location which is ideal for a relaxed holiday in Crete, complete with a swimming pool and within walking distance of the centre of the Gouves. The nearest beach is 900 metres from the Rena Apartments and it is just 150 metres from the apartments into the centre of Gouves where there is a selection of taverna's, cafes, restaurants and shops. For your daily needs there is a supermarket practically on the doorstep and the local bus service also stops right outside enabling you to explore the local area and further afield. The complex consists of two, two storey buildings around a quiet swimming pool with a small pool bar, garden and terrace complete with loungers and umbrellas. Rooms are spacious, very clean and traditionally furnished, all with air-conditioning, safety deposit boxes, bathroom and kitchenette.